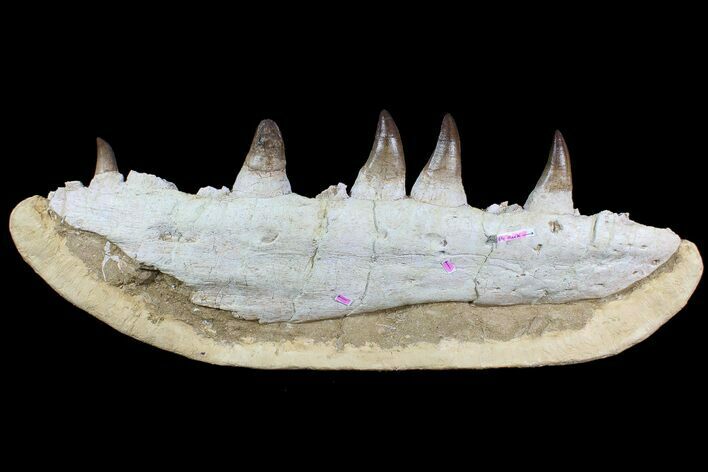 This is a HUGE jaw section of a very large Mosasaur (Prognathodon) from the phosphate deposits of Morocco. 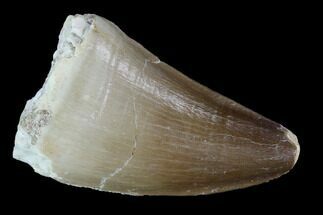 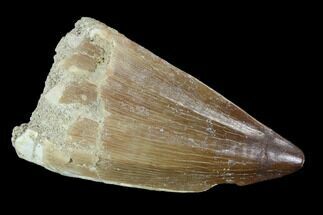 The awe inspiring fossil measures 25" in length and the largest teeth have crowns over 2 1/2" long. 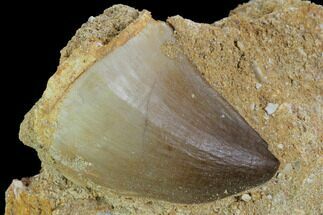 It's very nicely prepared in the US with NO COMPOSITING and very little repair and restoration (part of one tooth). 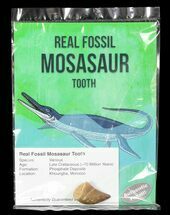 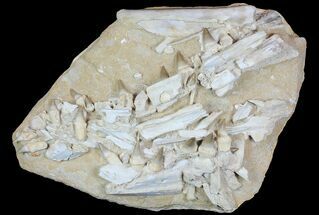 There are a few features that make this a very special fossil other than being a massive Mosasaur jaw. 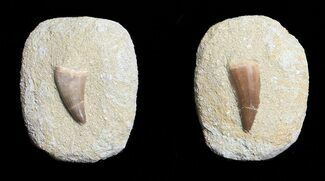 One, four unerupted teeth are still present and and viewable in their sockets on the back side of the piece. 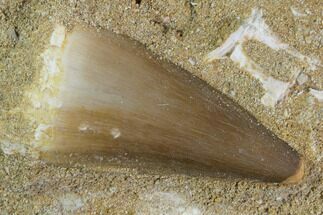 Secondly, there is a big BITE MARK viewable on the from side of the jaw. 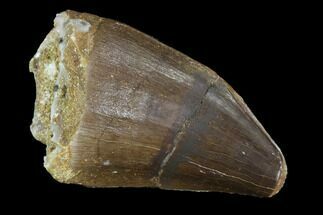 The teeth marks in the bite mark are over 4" apart, meaning the Mosasaur that attacked this one was a real monster! 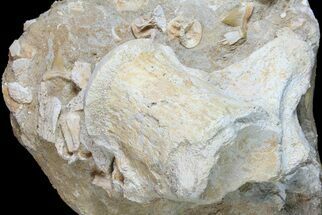 The rock has been stabilized with plaster (yellow areas around edges of piece, and it comes with a display stand.